Fairfax County Firefighters attempt to extinguish the Post 162 fire. 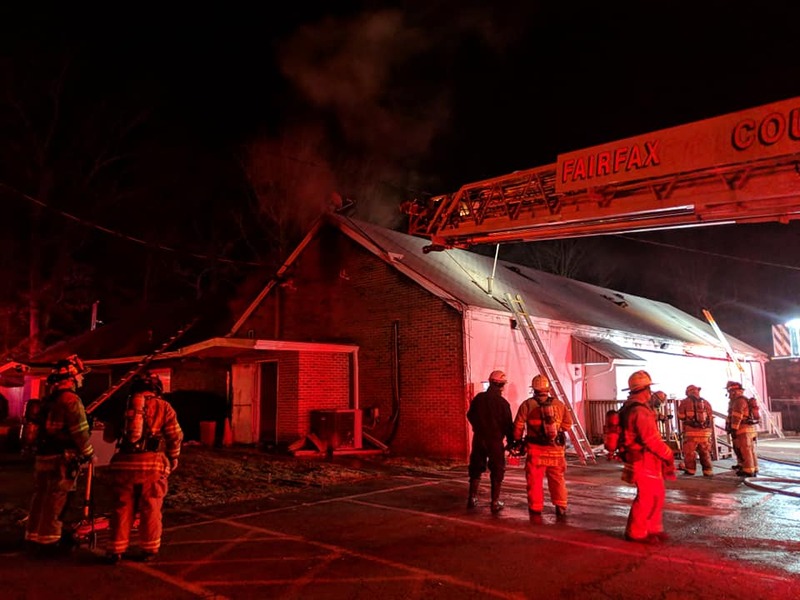 You may have already heard that one of our fellow Legion Posts, Lorton Post 162 in the 17th District suffered a severe loss due to fire. On Saturday, January 26, at approximately 10:42 p.m., units were dispatched for a fire alarm activation in the 8200 block of Legion Drive in the Lorton area of Fairfax County. There were no civilian injuries. One firefighter sustained a minor injury that did not require transportation to a hospital. There were no occupants present at the time of the fire. The building had functioning smoke alarms that activated and notified the alarm monitoring company. Fairfax County 9-1-1 was then notified. The building did not have a fire sprinkler system. Fire Investigators determined that the fire was accidental in nature and started in the attic. The cause of the fire was the electrical wiring within the attic. 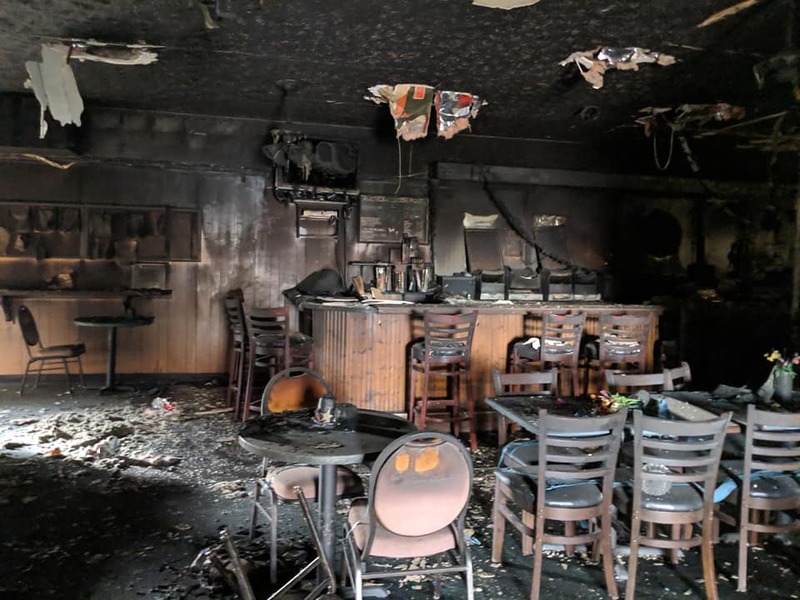 Damages as a result of the fire are estimated to be approximately $437,500. There was extensive damage throughout the building. This photo is of the main social quarters area. At this time the Post and 17 District are working to determine the best course of action for the next steps forward. Just as soon as they let us know what kind of assistance is needed, we will disseminate the information to our Posts as quickly as possible. In the meantime, we ask that everyone keep our fellow Legionnaires in their thoughts and prayers.